The Bradshaw bed is manufactured with high quality wooden ends to fit in with your bedroom. It combines quick and easy assembly, even within limited spaces, with the profiling capabilities offered by four electric actuators which control backrest, knee-break, height variances and infinitely variable tilt & reverse tilt positioning (Trendelenburg). 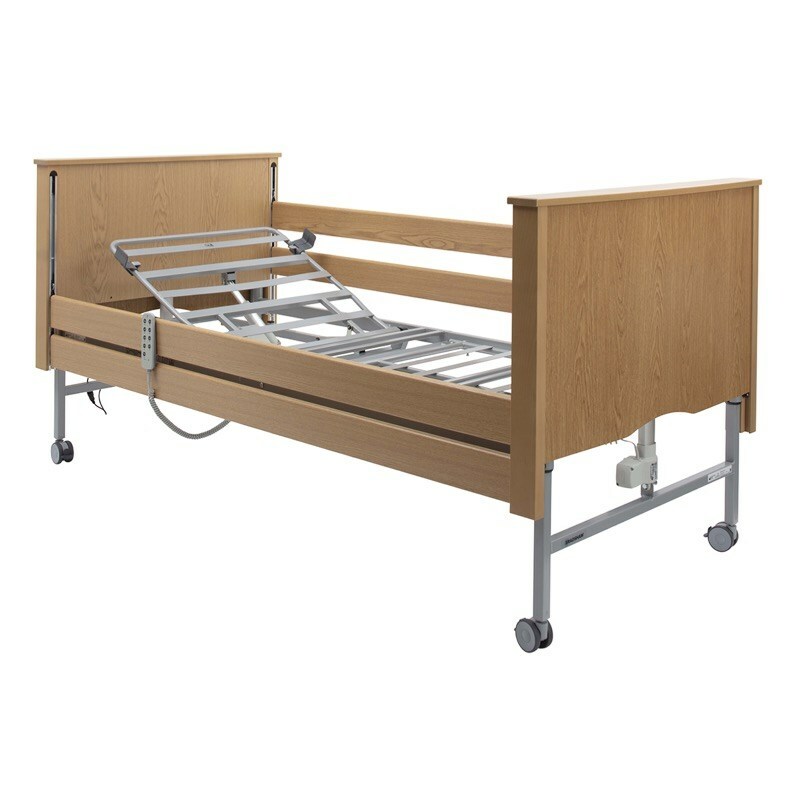 The four-section electric profiling Bradshaw Nursing Care Bed is particularly versatile. It is delivered with a metal slatted mattress platform and wooden side rails, and the bed offers both comfort and ease of use. It combines the established tradition of strength and stability of Sidhil products, with techniques to create a bed which is both functional and aesthetic, making it ideal for use in the residential environment. 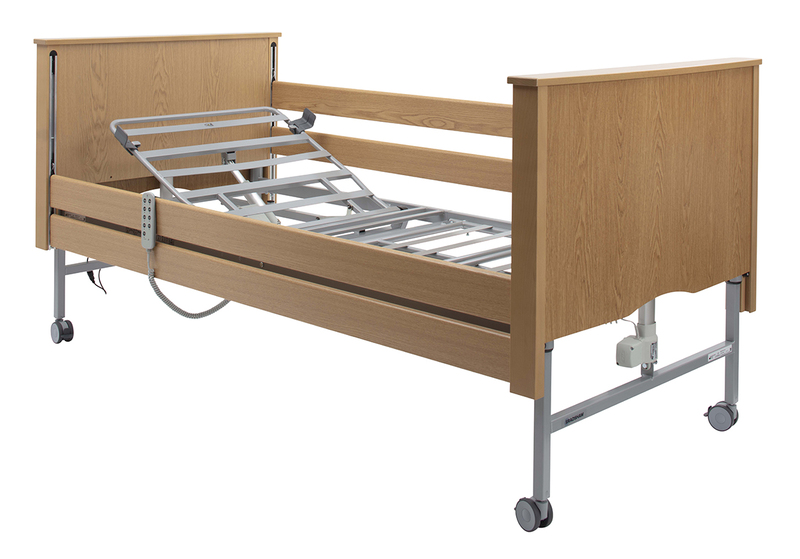 When the bed is not in use the bed can be disassembled and stored on transport stands enabling safe, and compact storage.